This is the sketch which is by Kim this week. 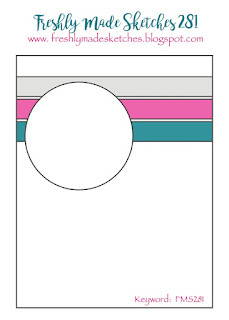 This is my card, explanation below as always. For the stripes I used some gold foil card-stock and some gold glitter card-stock. Then, I used a fussy-cut water-coloured flower and leaves from the Simon Says Stamp 'Spring Flowers' stamp set and a swirl cut from vellum as my focal piece. I adhered all to a panel of white card-stock slightly smaller than my card base and then mounted that with some foam for some dimension. I finished the whole thing off with a die-cut sentiment that had a generous lick of Wink Of Stella over it, a few of spots of black enamel accents and a little spritz of shimmer (of course). Have a lovely weekend, wherever you are and whatever you do! 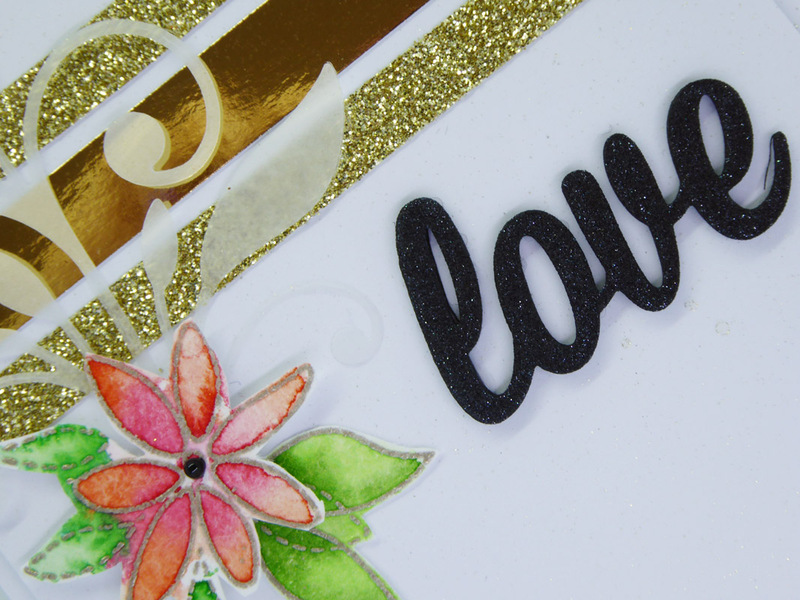 Beautiful card with the glitz of the glitter and the shine of the metallic all highlighting your lovely flower and love die cut. It definitely is love for this card I am feeling. 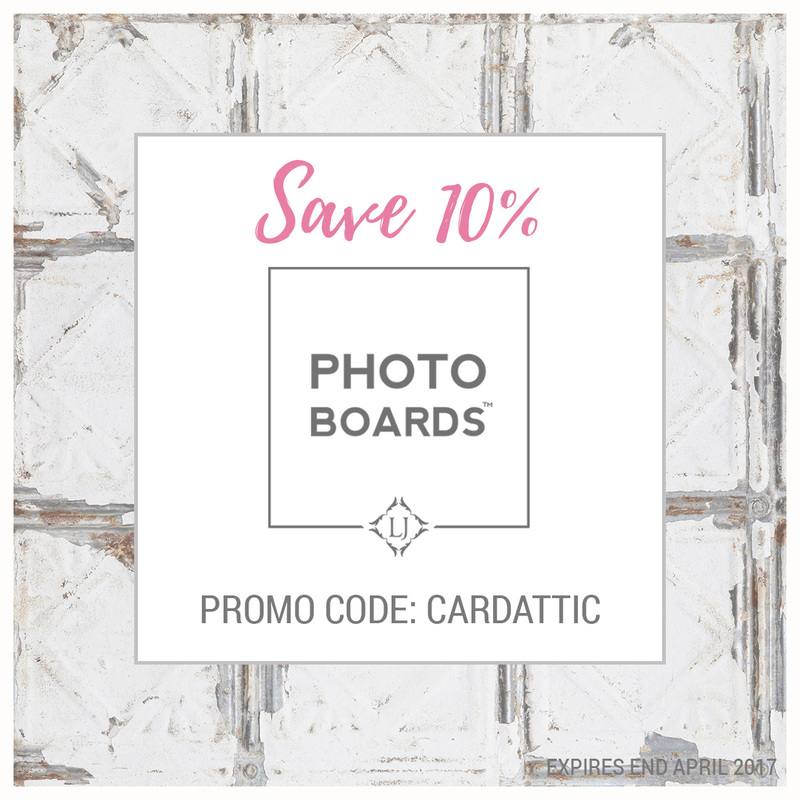 so pretty with the glitter about your pretty flower! happy weekend to you too! 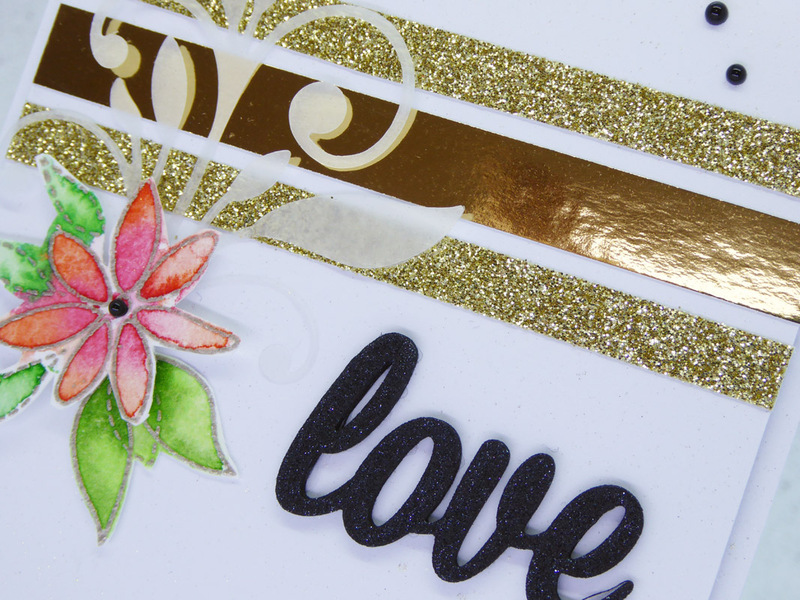 TFS all your photos Hazel, so we could see the shine and textures of your beautiful card. 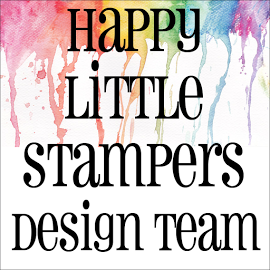 Happy Stamping my friend. Hugs.. I really love this card, Hazel. 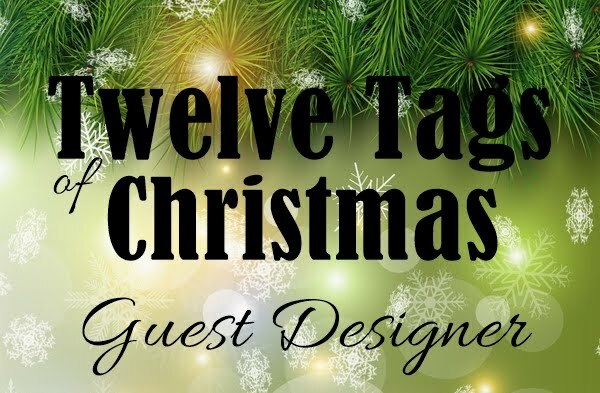 I think this layout is perfect for a Christmas card, too, with a poinsettia instead of your flower. Hope you are having a great weekend. Another gorgeous card for this sketch! 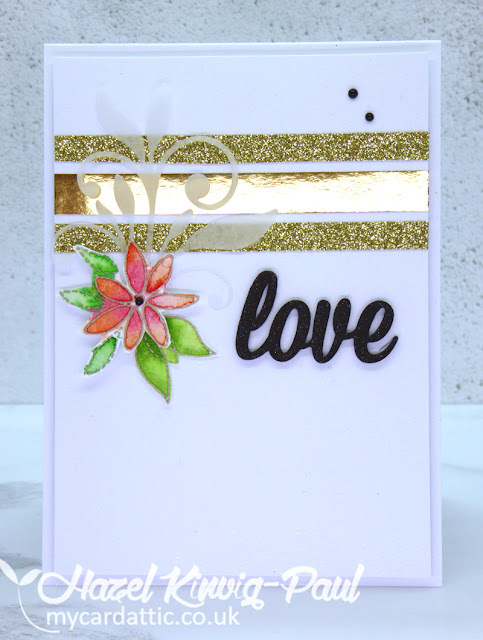 Love the glittery and shiny strips with the watercolored flower and the vellum accent! So pretty! 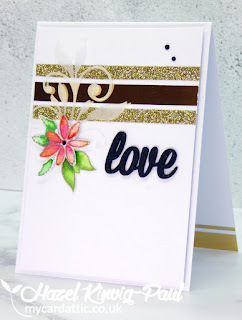 Gorgeous card, Hazel! 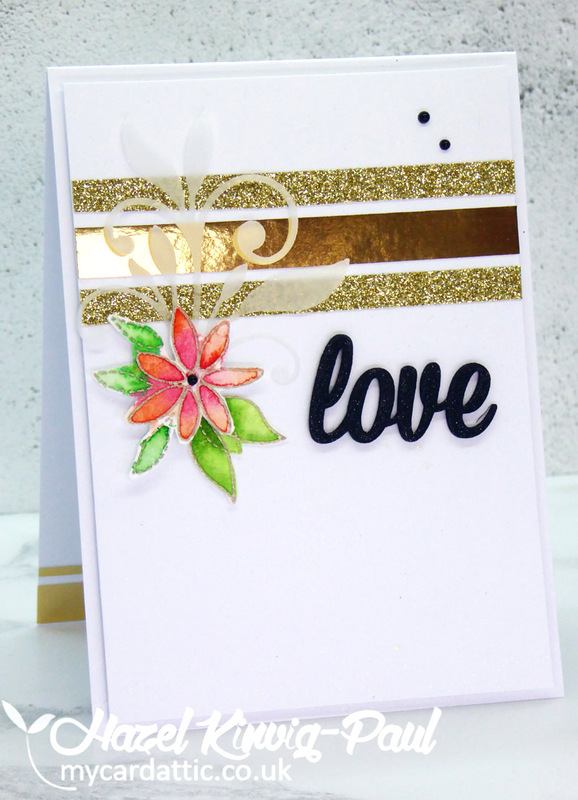 The metallics work so well with that gorgeous flower. Thanks so much for joining us at Freshly Made Sketches. 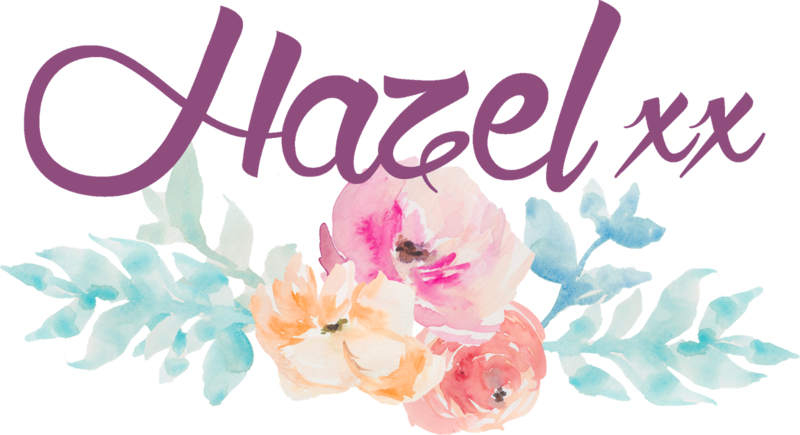 So much sparkle and shine on this, Hazel! Love that sweet flower! Great use of this sketch!